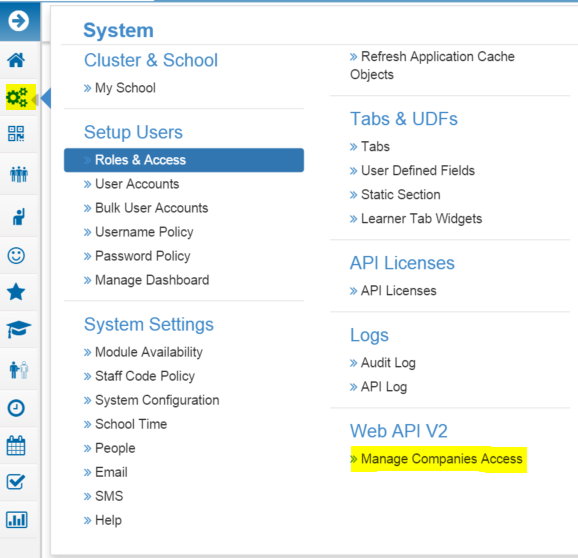 To create the Assembly User ID in Progresso, log in as School Administrator, go to System > Manage Companies Access (under Web API V2). Click on the + button to create a new record. Select Assembly from the Company Name dropdown. 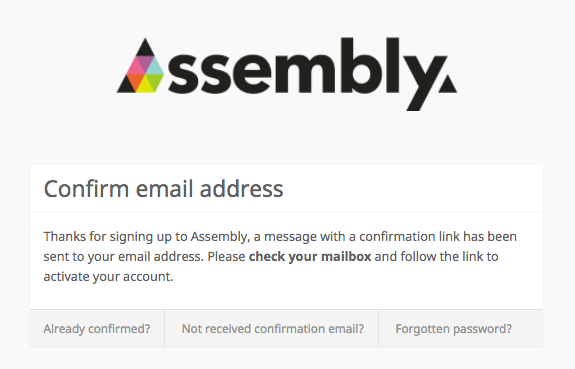 Enter help@assembly.education in the Email field. 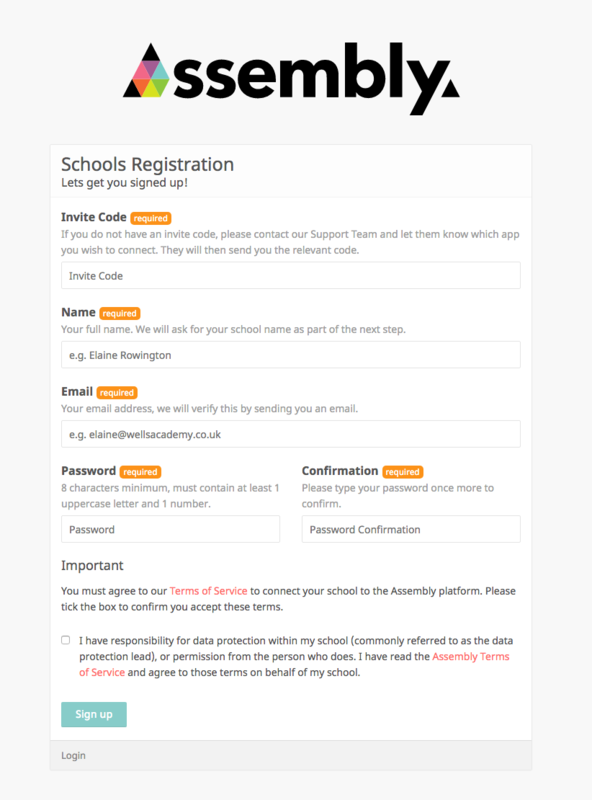 Enter "Assembly" followed by your schools LA Code and DfE number as the username. For example, if your school's LA Code was "123" and DfE number was "4567" your username would be: "Assembly1234567". You will now be able to see the 'Assembly' record added to the list. Select Progresso as your school’s MIS Provider from the dropdown list and press Continue. Once you've signed up and created the Assembly API user, the Assembly Support team will configure the connection for you. Please make sure that you have created the API user - or we will not be able to set up access. We will be in touch when the connection is configured and you're ready to authorise an app.